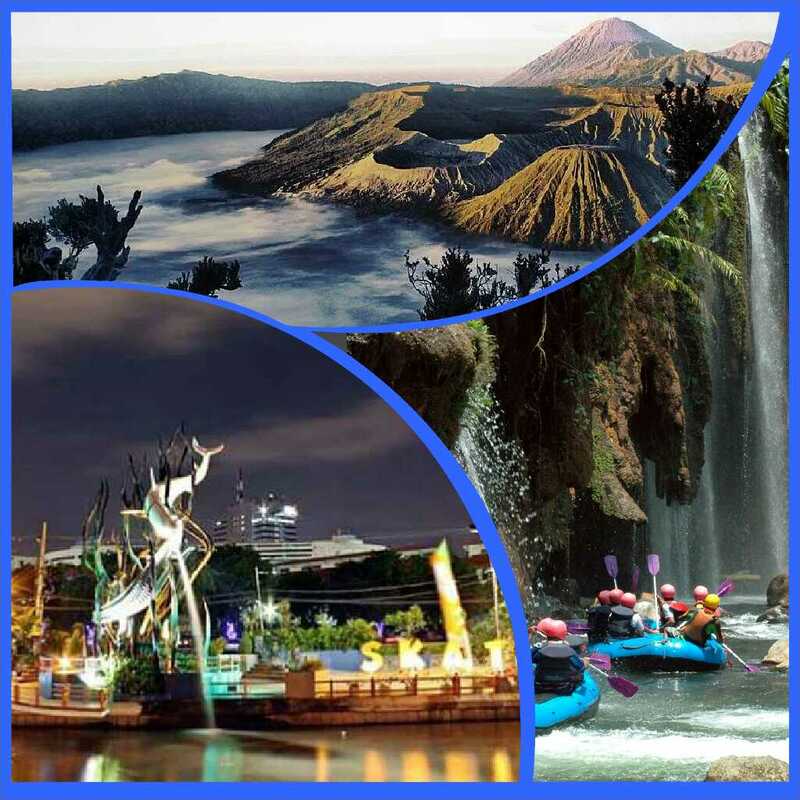 Surabaya Bromo Rafting 3 Days 2 Nighs , this tour package is combination between volcano trip and rafting. Day 01 : You will be picked up by our guide at airport, trainstation or hotel ( Surabaya area ), then proceed to your choosen hotel near mt.Bromo. On your trip to go to hotel, you will see the countryside view, paddy field view. Check in and free program.